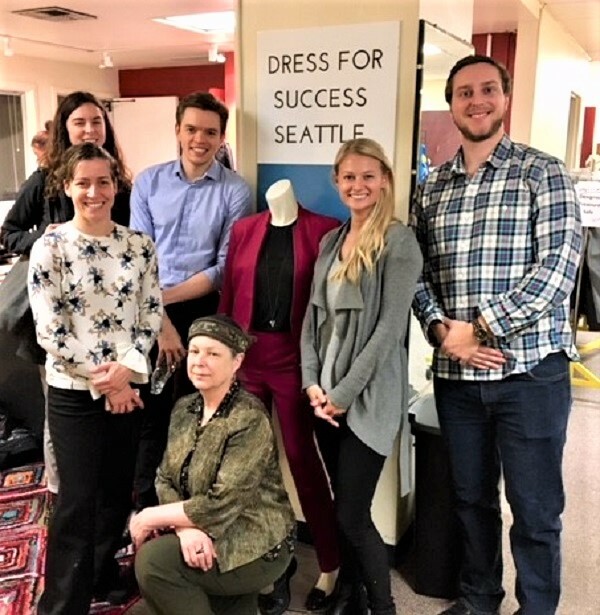 Earlier this month, several BCI staff members teamed up for a volunteer opportunity at Dress for Success Seattle. 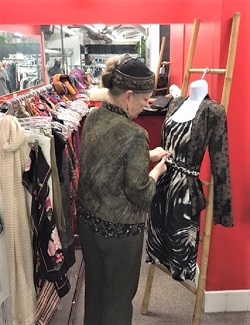 Staff spent an afternoon organizing clothing racks and pulling together ensembles which were photographed for promotional purposes, as well as sorting shoes for the "closet" that stylists pull from when outfitting their clients for professional interviews. 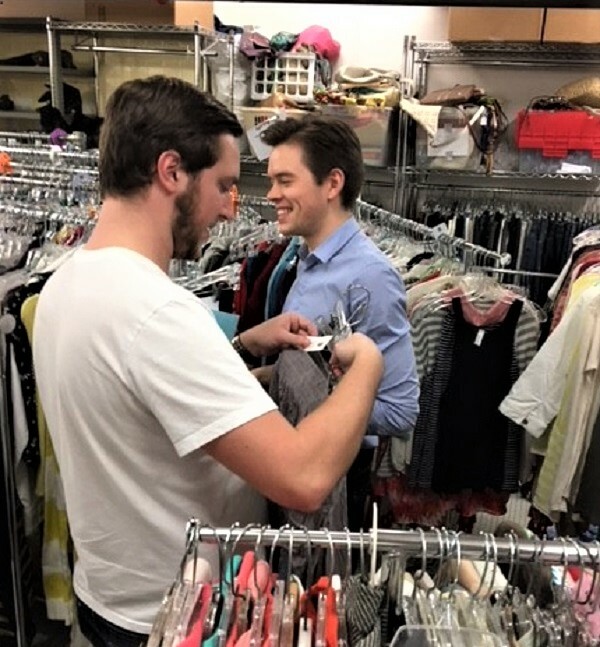 Staff also took product shots which are now being posted to the Dress for Success Facebook page to promote their March sale – one of the funding streams which supports their program in Seattle. Dress for Success is a non-profit organization that provides women in need with professional workplace attire. They have locations all over the globe, including an operation out of the YWCA in downtown Seattle. Shown at top from left to right: Karlee Kirking, Alinne Oliveira, Dexter Leland, Heather Daveno, Ann Stevenson and Maclyn Curley. Photos at left are courtesy of Ann Stevenson.